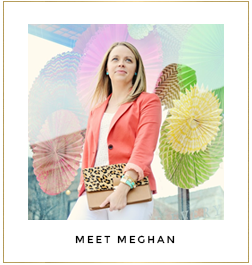 Everyday Fashion and Finance: Three-fer Thursday Link Up! It's that time again for Three-fer Thursday Link Up! Thank you to those who linked up last week! You ladies are making it difficult to select only three to feature with all of your inspiring posts! 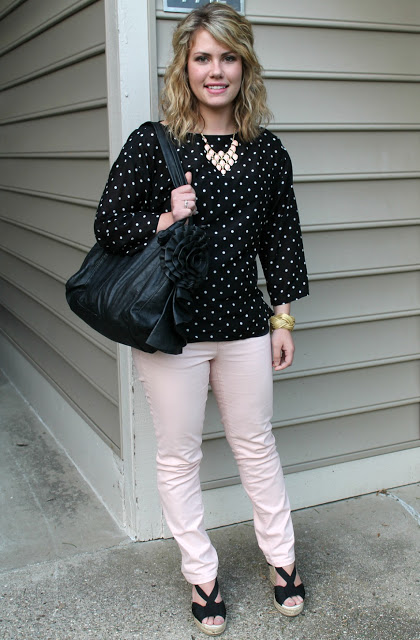 Jaime of Toby's Tails looks adorable in her pink pants paired with polka dots! Who doesn't love polka dots?! We know we are polka dot obsessed! Cheryl of Dressing Up For Me has nailed the black and white trend! And that clutch is the perfect accessory to complete the look! Renee of Style With a Story is making a statement by pairing her fan fringe necklace with a polka dot pencil skirt. She also pattered mixed with that fabulous striped bag! Three-fer Thursday is a linkup party where you submit your favorite post from the week and link it up here at Everyday Fashion and Finance and Perfectly Coutured. The following Thursday, we will choose three of those posts that we particularly enjoyed and then share them with all of you! If you're one of the chosen three, we will email you on Wednesday evening to let you know so you can post about it on your blog (if you want)! Your post can be about anything fashion related! Think of it as show and tell for your favorite post that you have worked so hard on! We do ask that you please follow Everyday Fashion and Finance and Perfectly Coutured in order to link up. Also, don't forget to post a link back to Three-fer Thursday so that people can come visit! Feel free to use the button below or you can create your own text link if you prefer. Why should you link up? Do you like discovering new blogs and building new relationships with other bloggers? We know we do and Three-fer Thursday is a way for us to do just that! Be sure to link up below for your chance to be featured next week! P.S. Don't forget to enter the Gigglosophy giveaway!